Healthcare Design (HCD) features Deb Sheehan, CannonDesign’s executive director of client strategies, in the newest installment of its Take 5 interview series – a feature through which HCD connects with leading design professional and firms to talk about key issues in healthcare. In Deb’s piece, she talks about how health systems are renewing their focus on employee and staff experience, the potential impact of wearable technology, operating rooms of the future and what health organizations can learn from retail. The full article can be read online and below is a brief excerpt focused on designing for enriched staff experiences. The need to design healthcare spaces that create incredible patient experiences has accelerated at a seeminly faster rate than the need to create incredible staff experiences. But, now more organizations are redirecting their attention to designing staff spaces. 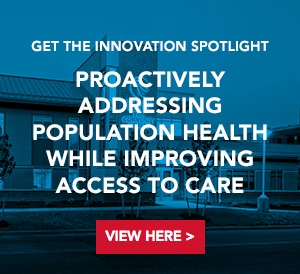 For example, Southwest General Health Center’s Pandrangi Tower in Middleburg Heights, OH, offers open-air balconies on all floors so employees can step outside for fresh air and sunlight throughout the day. The University of Minnesota Health’s Clinics & Surgery Center in Minneapolis features a multistory staff lounge with an atrium, cafeteria, meeting space, and access to natural daylight. This renewed focus is inspiring and impacting healthcare spaces across the country.